A digital town filled with fun characters, charming surprises, and interesting places to explore. 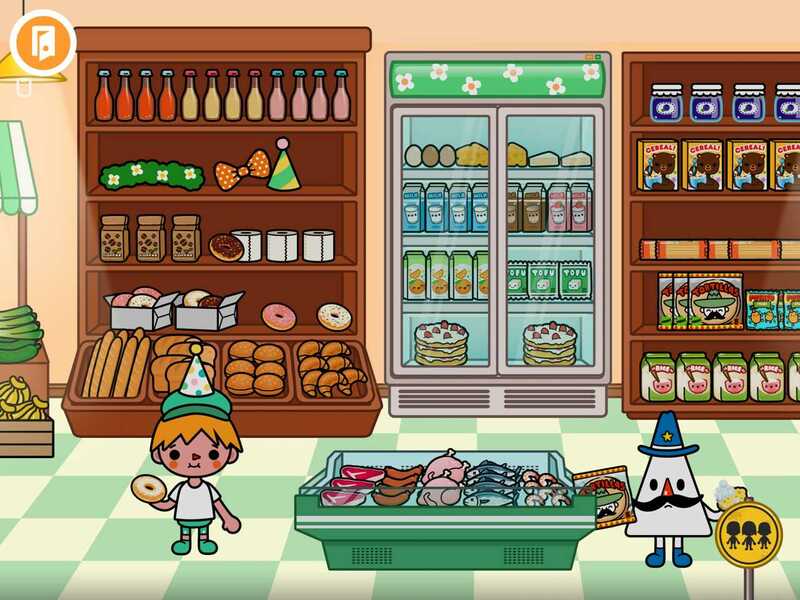 Kids become the mayor in Toca Life: Town, a digital playspace with six locations. 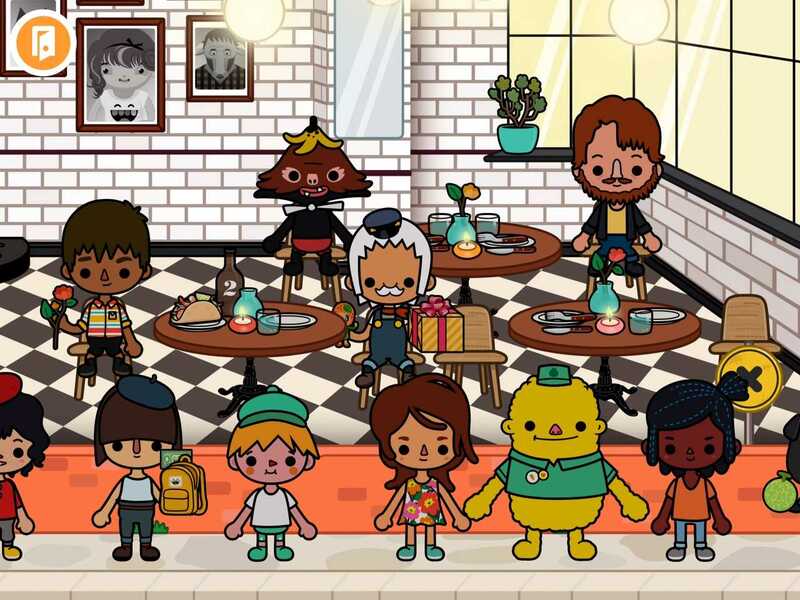 Twenty one characters populate the town, and many are from previous Toca Boca apps. As kids check out each location, they explore by tapping and moving things and characters about. Want to hold a pillow fight? Start shaking a pillow to let the feathers fly. Always wanted to flush the toilet repeatedly? Go for it. How about creating your own new signature dish at the restaurant? Just slide food together to see the result. What Makes This App Cool? 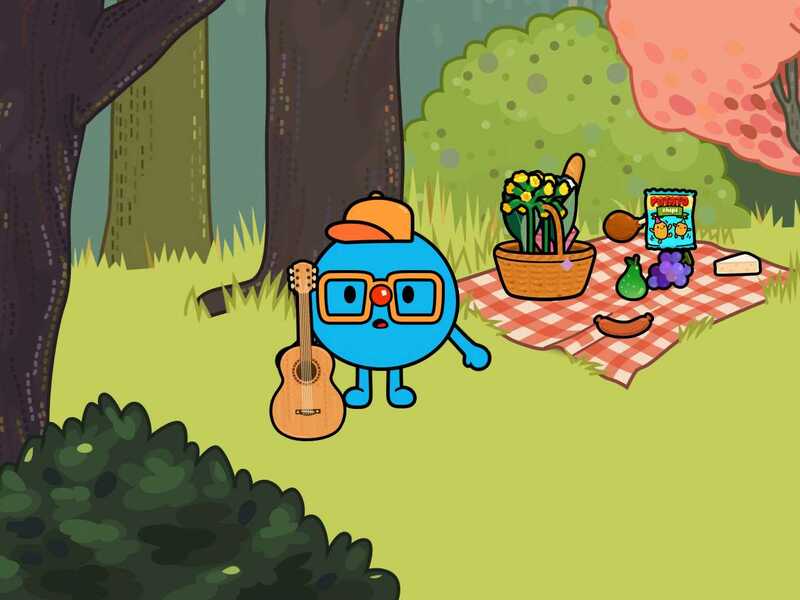 Fans of other Toca Boca apps will enjoy playing with their old favorite characters, who appear together for the first time in this app. I enjoyed placing Stikk Figga (my favorite rapper from Toca Band) behind a tree in the park for a game of hide-and-seek. Certain townsfolk appear in specific locations, but kids can easily add others. Also nifty is the way you can hand things to characters and have them bring the items with them to a new location. There are plenty of wigs and hats scattered around to help with imaginative play and storytelling. 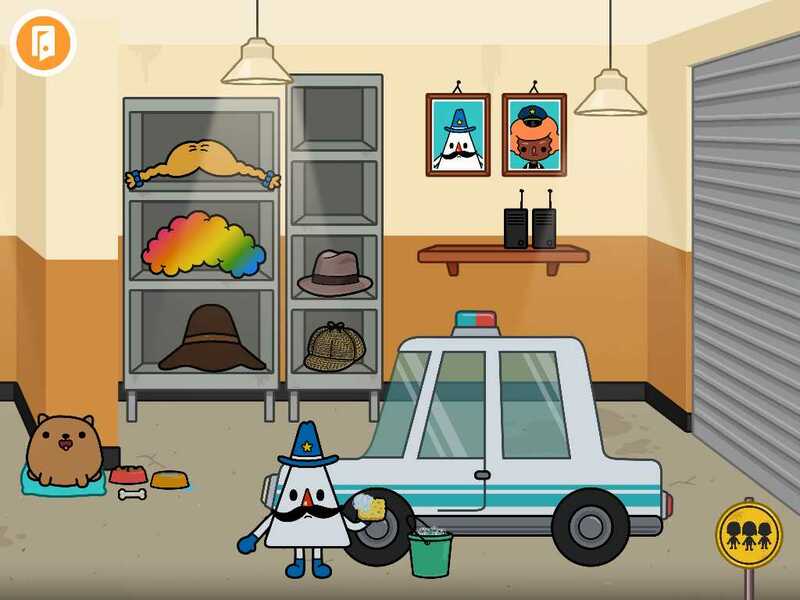 The app also has a reset button, so that the objects and characters all return to their original locations. 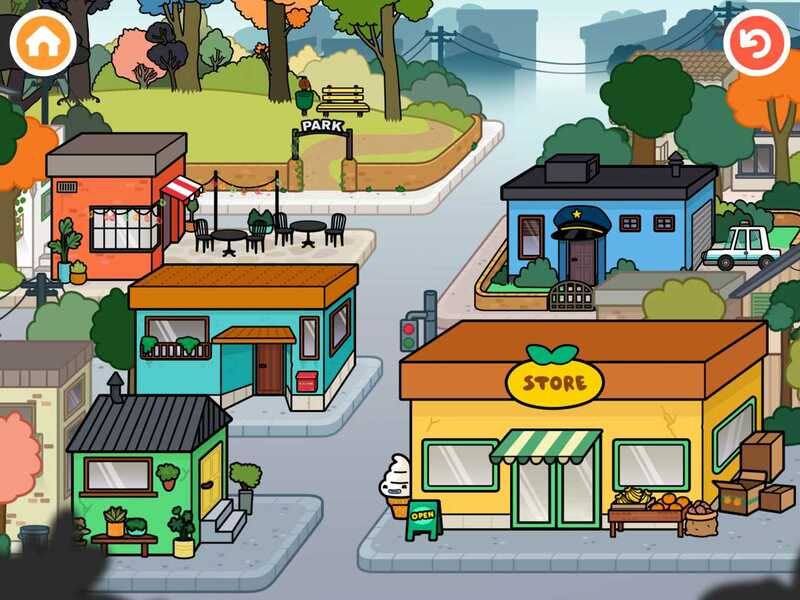 Toca Life: Town works so well because it has no rules, and it provides an exciting open world to explore. While it offers kids some structure -- a town to explore -- they add their own creativity to make it fun. Just like in real life play. 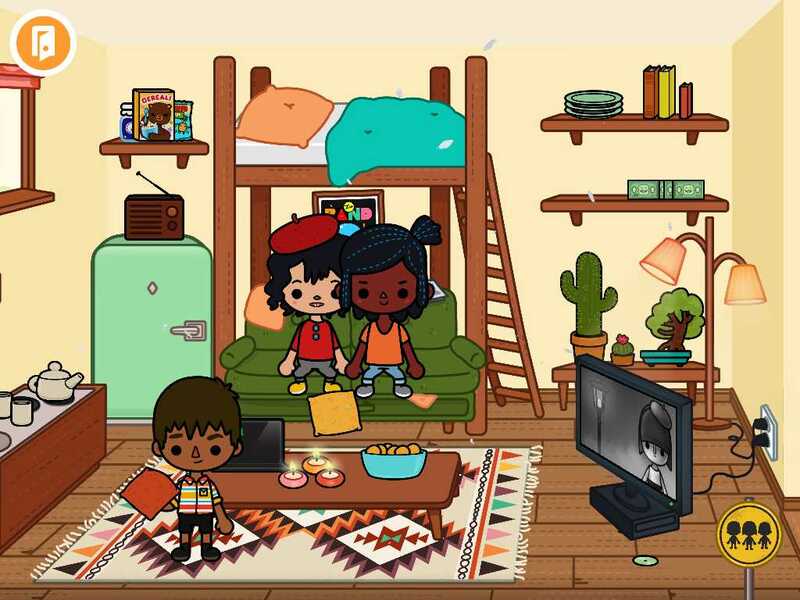 Toca Life: Town is a modern day equivalent of a play mat of a town, placed on a toy room floor. It provides a framework for make-believe play in and around a town that has a store, a police station, a park, a restaurant, and houses and apartments. Instead of bringing in stuffed animals and dolls for their imaginative play, kids use digital objects and townsfolk this play space is filled with characters that are fun, engaging, and quirky. This review, written by Jinny Gudmundsen, was originally published on June 20, 2014 when the title of the app was Toca Town. On June 24, 2015, we updated this review to reflect the app's name change of Toca Life: Town.